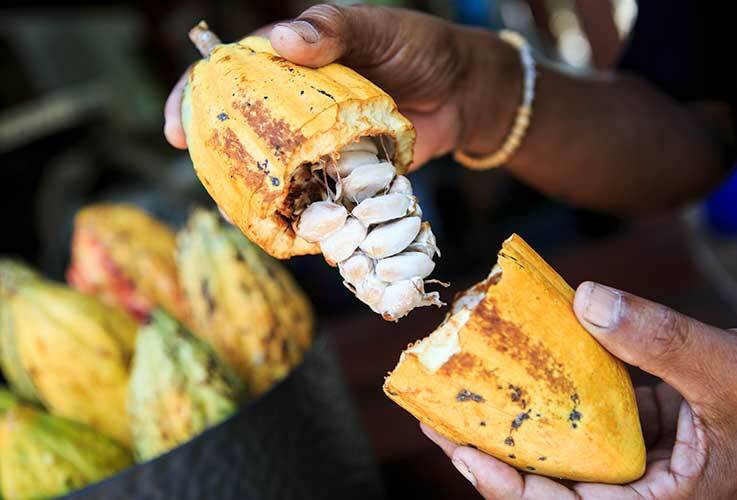 Cocoa (Theobroma cacao) is the fruit of a tropical plant featuring the shape of a cocoa pod, in other words an ovoid with red-brownish peel, which contains about 40 to 60 seeds embedded in a light and viscous pulp. 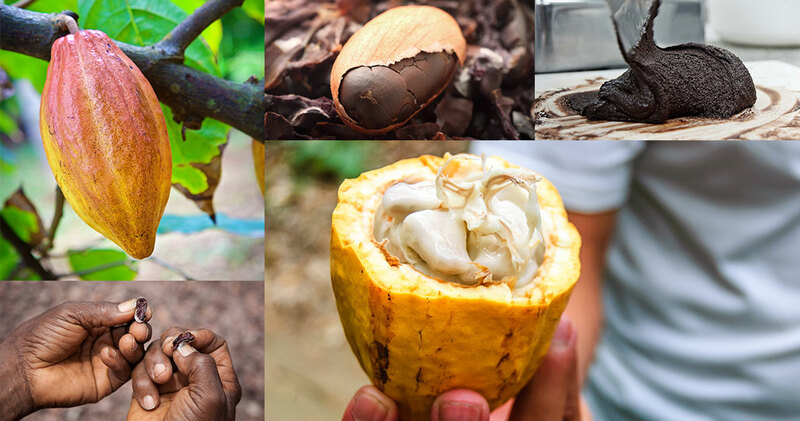 The seeds extracted from the cocoa pod undergo an articulate and delicate refining process for all of its stages. 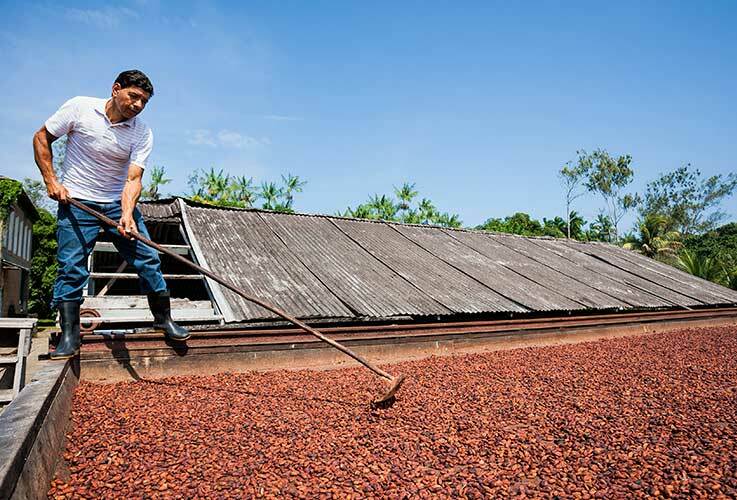 The seeds are left to ferment for about six days and then left to dry in the sun and roasted. After the roasting process, the seeds are peeled and ground – such work traditionally used to be carried out with a metate - in order to obtain cocoa mass (which is the main ingredient used to make our chocolate nowadays): a product featuring bitter taste and captivating scent that can be influenced, just like wine, by dozens of variables, such as geographical location, year of production, ripening stage or climate conditions. 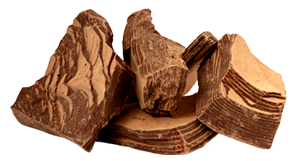 In fact, besides boasting an articulated aromatic bouquet including hundreds of aromas and scents, cocoa is rich in flavonoids, vitamins and active ingredients having a positive effect on health. The cold-processing method allows keeping these characteristics unchanged and creates a product that is able to release all those volatile substances that would be lost with a conching process at high temperatures. 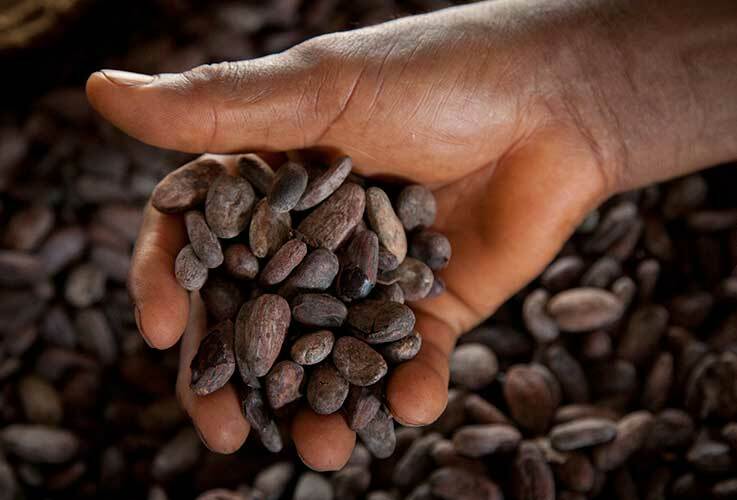 Our cocoa comes from certified plantations that do not use child labour, and workers’ conditions are protected and safeguarded.